Entertain and delight your children with May Gibbs-inspired school holiday craft projects – they’ll bring their favourite characters to life while fine tuning their motor skills and their imaginations. Warm up your winter with May Gibbs’ wonderful Australian creations. Read on to find out how! 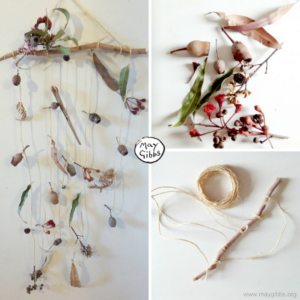 This beautiful nature craft project will keep your kids’ imaginations flowing and their minds buzzing these school holidays! Encourage your children to put down their iPads and abandon the TV and partake in a fun nature treasure hunt in their own backyard or in the local park. Once they’ve found their natural treasures, they can create beautiful wall hangings that showcase their finds. Each wall hanging will be wonderfully unique, evoking the personality of your children, and bringing a little bit of the beauty of the Australian bush into your home. Your children will appreciate the natural world all the more! Follow this link for more instructions! 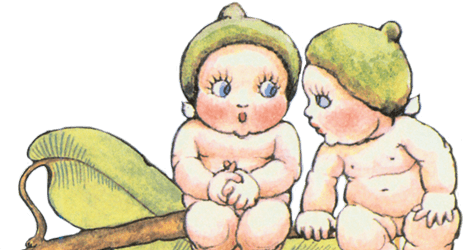 This school holidays, your children can create one of their favourite May Gibbs characters! 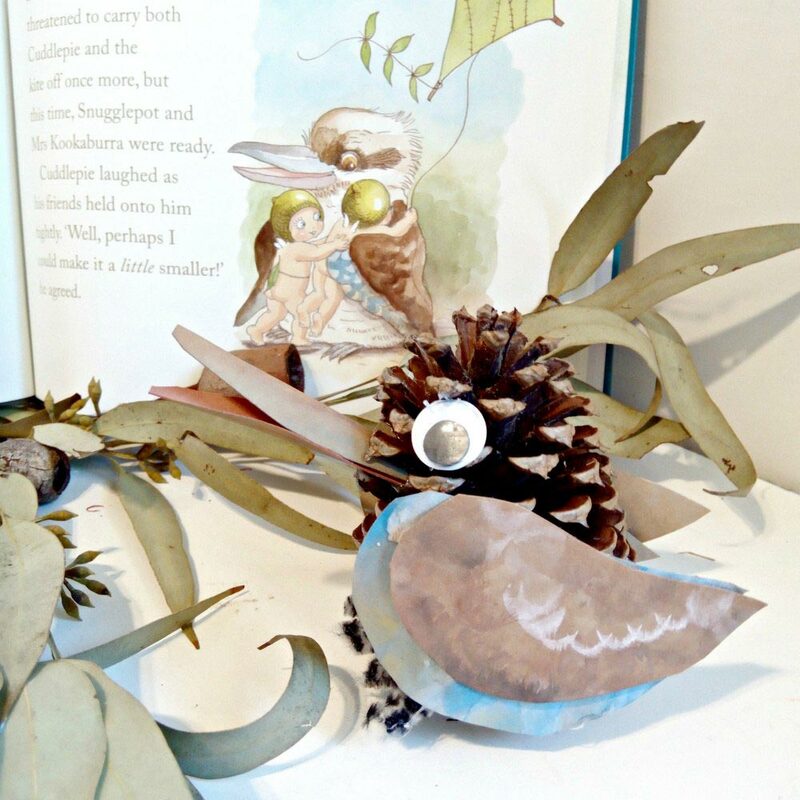 For many children, Mrs Kookaburra is their favourite. From the book, Tales from the Billabong, Mrs Kookaburra is a wonderful example of May Gibbs’ unique ability to transform Australian animals into iconic characters. 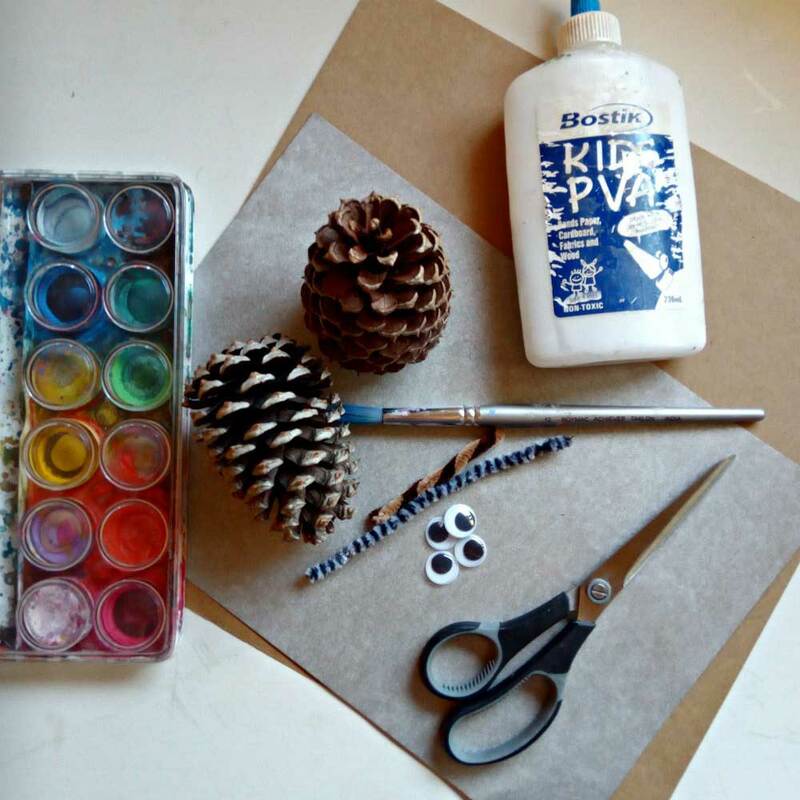 All you need is a pine cone and a few bits and bobs, and you’ll have a wonderful creation for use in imaginative play or storytelling. 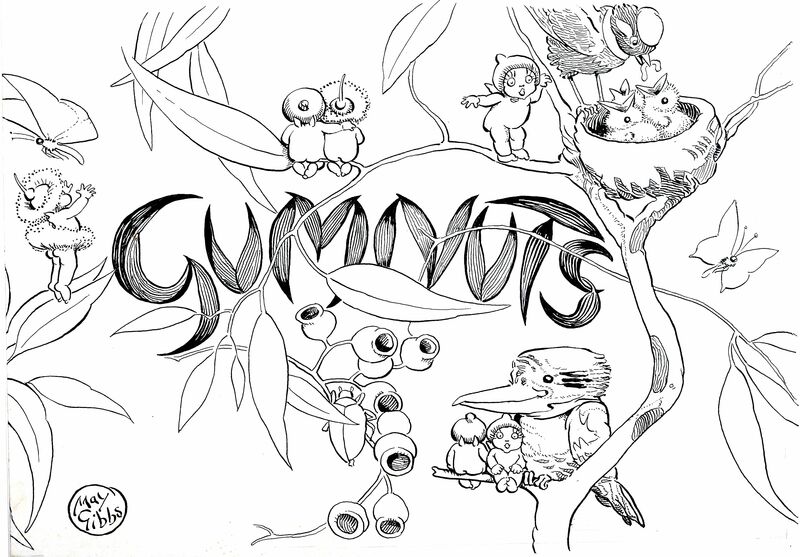 What’s more, it encourages your children to develop their fine motor skills while teaching them about one of Australia’s most iconic animals – the kookaburra. Playdough is a timeless favourite with kids all around the world – so it will be a huge hit in your school holiday crafts! 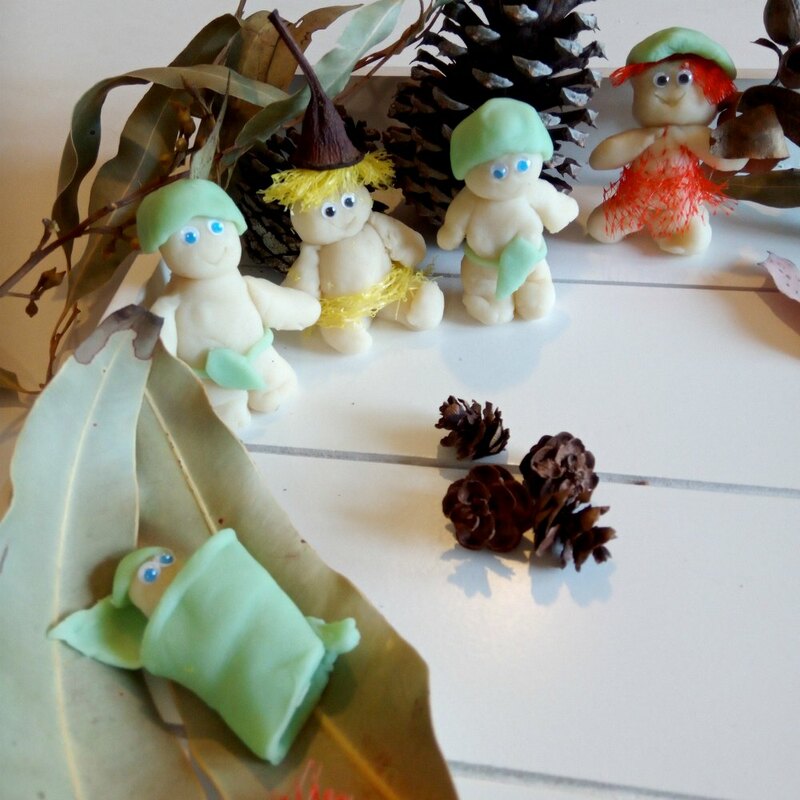 This time around, why not fashion your very own Snugglepot and Cuddlepie with this fantastic no-bake playdough recipe? Children will love being able to use their own hands to build characters they’ve only seen in pictures. Their imaginations will no doubt get a work out as they use their creations in imaginative play. For further instructions, follow this link! It might be winter, but May Gibbs can still light up your evenings this school holidays with this fantastic light up craft! 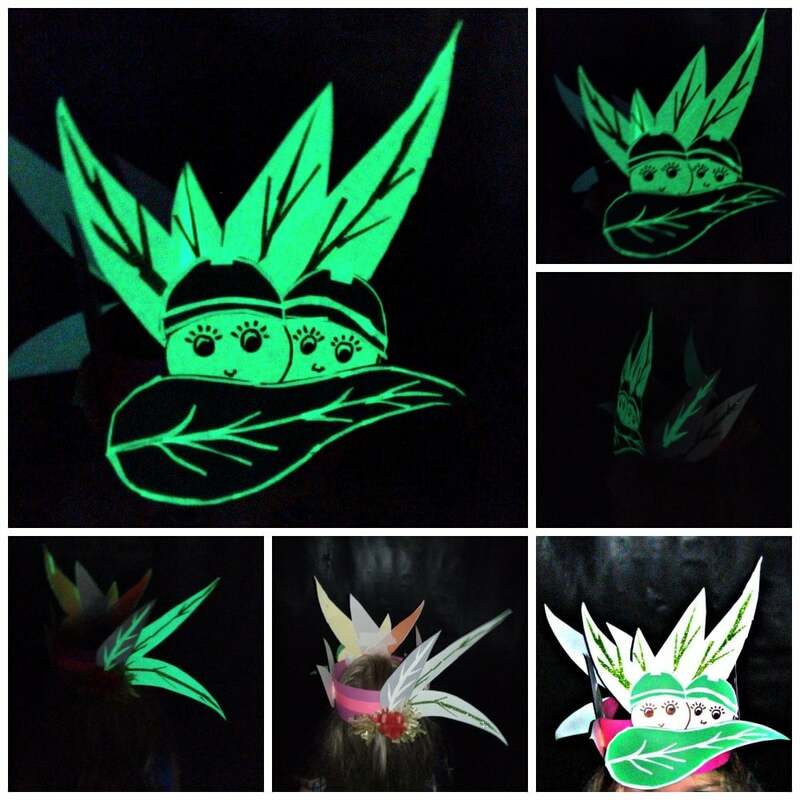 With glow in the dark tape and a black marker, your children can fashion a wonderful Snugglepot and Cuddlepie crown that will glow in the dark – delighting your children and all who spot them! You can encourage your child to follow the example or create their own designs using their imaginations – the sky is the limit. Let May Gibbs light up your world! Follow this link for further instructions. All children adore colouring so it’s only natural that your little May Gibbs fan will delight in colouring and crafting all things May Gibbs. What’s more, it’s a great activity for their minds and their hands! 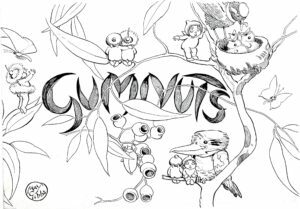 With our lovely range of colouring sheets taken from May Gibbs’ iconic illustrations, there’s sure to be something to encourage your children to put crayons to paper. For more engaging and imaginative May Gibbs-inspired school holiday craft projects and activities, check out the May Gibbs news page and the Fun and Games page!